Note: installation procedure for free version and licensed version is the same, the only difference is for licensed version you upload the license file in the end. Check your server (or local computer) for necessary prerequisites (see section 2.1). Note: tar.gz archive is for Linux systems. 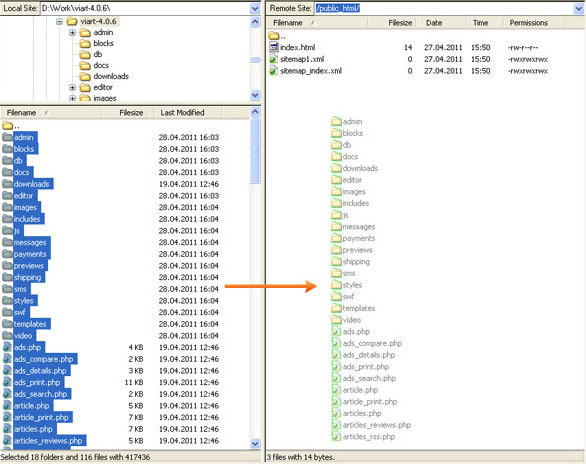 If you have chosen a zip archive unpack it to some folder on your computer and upload all exctracted files to your server via any FTP client (it can be FileZilla, Total Commander, WinSCP or other) to a public or a root folder (usually, it is called "www" or "httpdocs" or "public_html" depending on your server). An email will be sent to you at the start of the process and when the installation has completed. The whole procedure usually only takes about 5-20 minutes. When the uploading is completed, do the below steps to install the shop. Note: the folder where you upload ViArt Shop must have writable permissions. Also on some hostings the upload process can stop by timeout and not all files are uploaded so always check after upload if a) all files are there; b) there are any beaten files (with 0 kb). In that case upload the files manually. Installation requires a database and database user to be created. 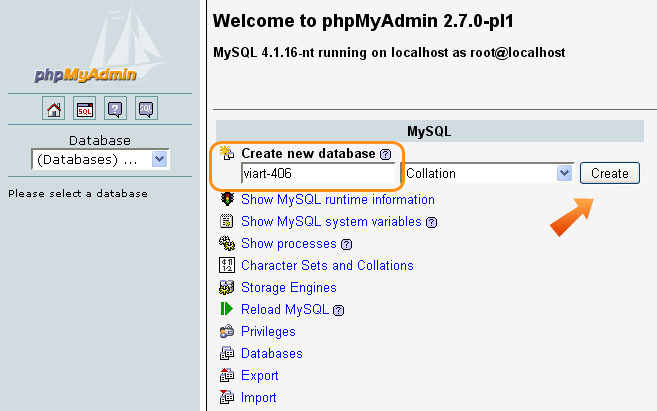 If you're installing the shop on localhost then usually it is done via phpMyAdmin. 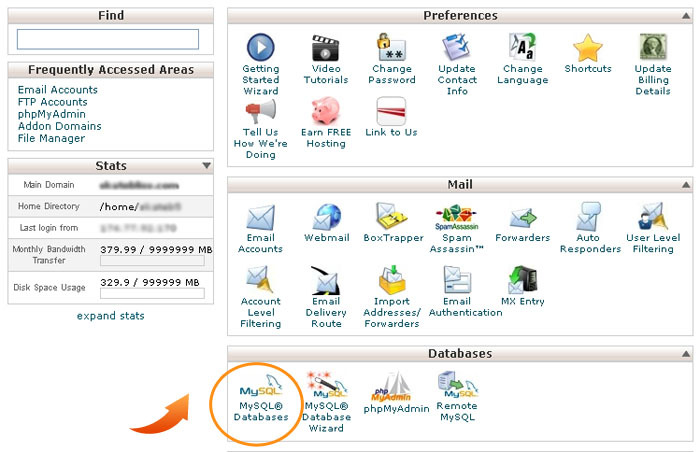 Otherwise database settings are managed via hosting cpanel. you should see such table in result. If you don't see any database settings in your cpanel or you don't know how to use them then contact your hosting provider to create a database with db user for you. Further, open a browser window and type http://www.yoursite.com/install.php (where yoursite.com is the name of your domain name). Clicking on the Next button will commence the database build, and show an install progress counter (see image below). When the DB is populated, you are redirected to Step 2 of Installation Wizard, where you specify the details for your Admin panel. Please, see the image below. Further you have to choose your Date and Time display preferences by clicking on the Select from list. Note: You are welcome to view the flash manual of installation procedure here. It was created for old ViArt Shop 2.x but the core process remained the same.